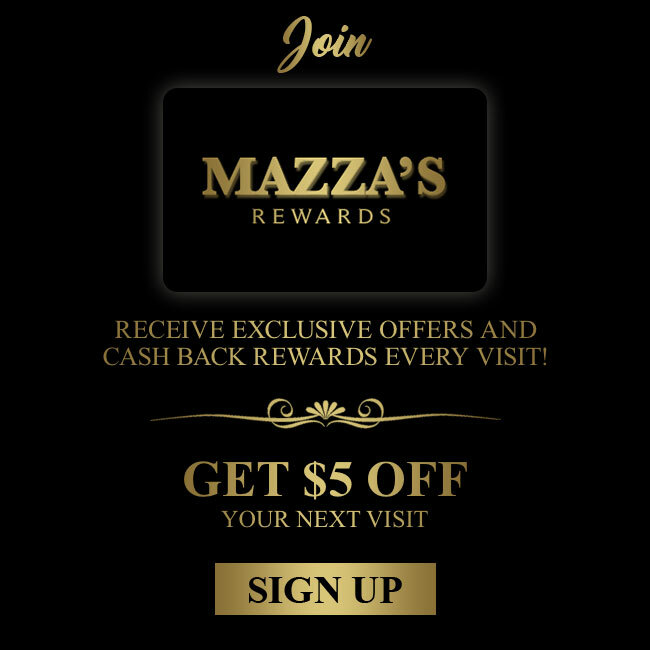 The Dogs of Knox Fund and Mazza’s invite everyone to “Paws and Pasta” on Wednesday, April 3, 2019, from 6:00-8:00 p.m. at Mazza’s Restaurant on 11587 Gilchrist Road, Mount Vernon. 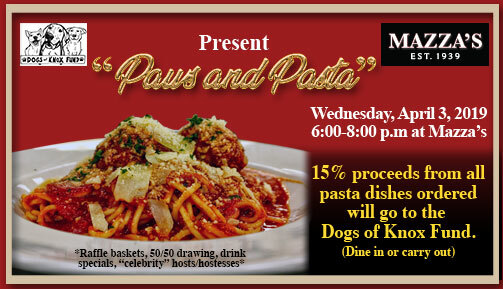 15% proceeds from all pasta dishes ordered that night (dine in or carry out) will go to the Dogs of Knox Fund. Local “celebrity” hosts and hostesses will seat you and drink specials will be featured. Raffle baskets/items, a 50/50 drawing, and more will be available in the banquet room. Raffle and 50/50 tickets are $1 each, $5 for 6 tickets, or an arm’s length for $12. Cash, checks, or credit cards are accepted. An evening of great food and fun with all proceeds benefiting the Dogs of Knox Fund, Inc. a 501(c)(3) non-profit which helps with medical and other extra-ordinary expenses for the dogs at the Knox County Animal Shelter. For additional information please call Bethanne Fowler at 740-398-5297, or Mazza’s at 740-397-3076.